With Christmas, just days away lots of people are baking cookies. This year I was thrilled to work with a company that embraces the love of baking as much as I do. 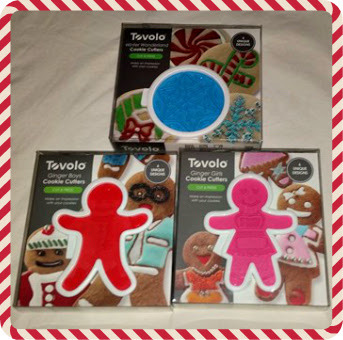 We were sent some cool cookie cutters from Tovolo from their Christmas collection. What is great about these cookie cutters is that even if you are not a cookie aficionado you can still make perfect cookies. With each set, you are able to make 6 different patterns. 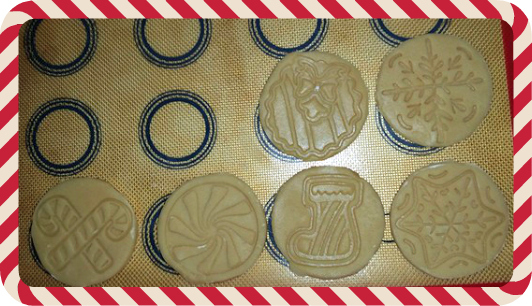 These give you a guide for decorating but also look great to just use as a stamp for the dough. My kids had a great time using them and were so very proud of the cookies they made...aren't they just perfect for Santa? The Tovolo Winter Wonderland Rounds are a 6-in-1 cookie cutter set that includes a round cookie cutter and 3 reversible Winter Wonderland templates. The templates imprint each cookie with your favorite Winter Wonderland pattern and act as your guide to make professional-looking cookies every time. All pieces snap together to store easily. The Ginger Boys will melt your heart and fill your stomach! This gang of 6 lovable characters is just one of many of our reversible cut-and-press cookie cutter sets. It includes the Ginger Boy cutter and three reversible Ginger Boy templates that make decorating easy and fun. Each press template imprints the dough with your favorite personality and acts as a guide to help you make professional-looking cookies every time. All pieces snap together to store easily. Soft cut out sugar cookie recipe that keeps its shape and dough does not need to be chilled before baking- perfect edges every time! In a separate bowl combine baking powder with flour and add a little at a time to the wet ingredients. The dough will be very stiff. If it becomes too stiff for your mixer turn out the dough onto a countertop surface. I DO chill my dough overnight BUT you do not need to. Tovolo also offers a wonderful measuring set that I absolutely adore. It's easy to use and even easier to read! Plus they are magnetic and nesting to keep them together for better storage. Best baking wishes from our kitchen to yours. I like that the cookies keep their shapes with this recipe. I hadn't heard of Tovolo, but I'll look for it. Never heard of Tovolo. 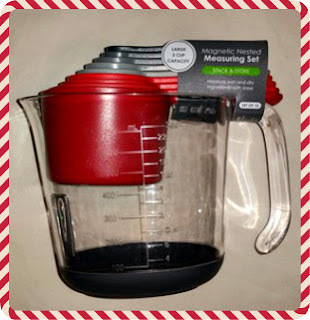 I really like the magnetic measuring cups. We are always looking for different treats to prepare the grandkids...and me!